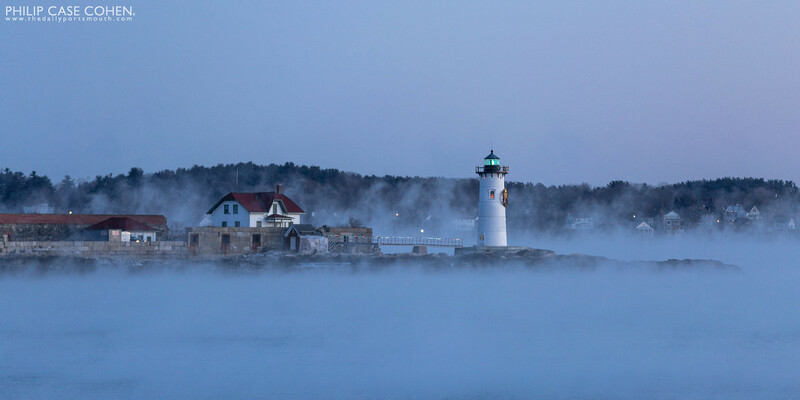 Before the sun rose on this amazingly cold morning, the entire coastline was lit during the blue hour – highlighting the festive wreath and lighting along the walkway to the Portsmouth Harbor Lighthouse. A few minutes later the scene changed entirely, illuminating the lighthouse and the keeper’s house in a soft orange glow. 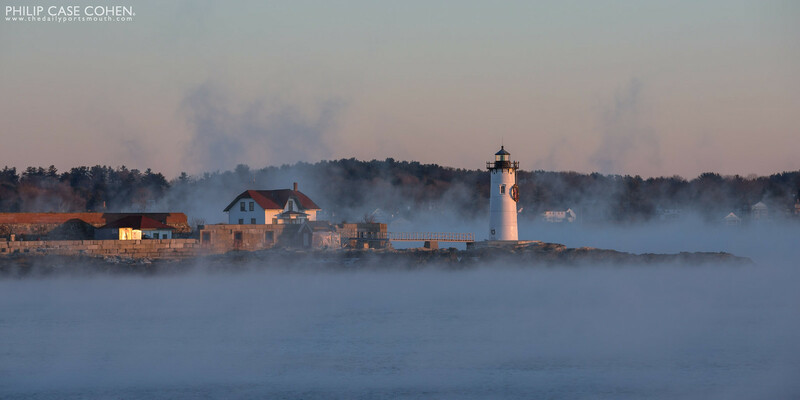 One of the seacoast’s icons is the Portsmouth Harbor Lighthouse, which sits on the coastline in New Castle in Fort Constitution. 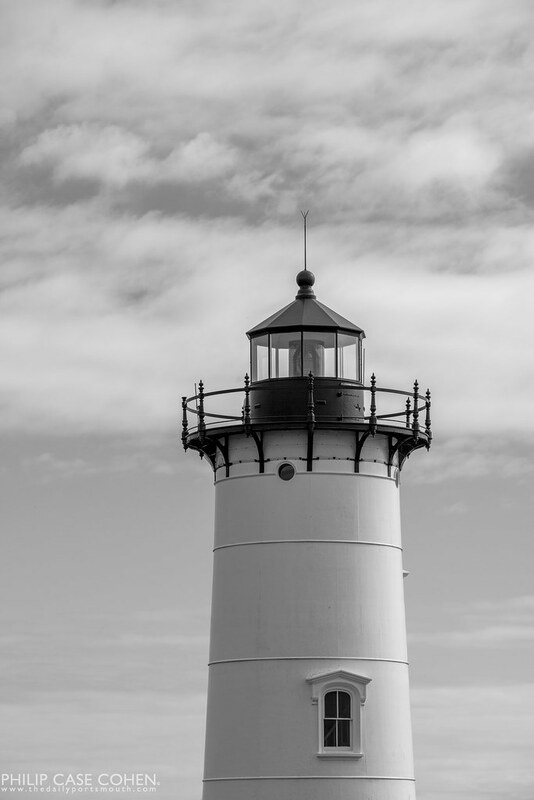 I have always loved getting out in a boat on the Piscataqua River – and this day was no exception with the warm air and soft rays of sunset on the fort’s wall and the lighthouse. 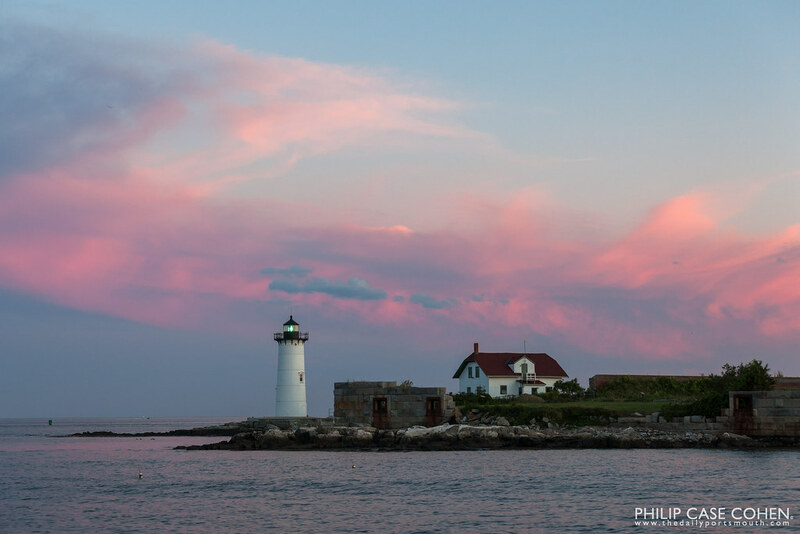 On a sunset cruise with Portsmouth Harbor Cruises, we were treated to a beautiful sky and a vivid cloudscape. On our way back into Portsmouth as the ship was turning around, this scene caught my eye – bright pink and blue clouds hovering over Portsmouth Harbor Lighthouse in New Castle. 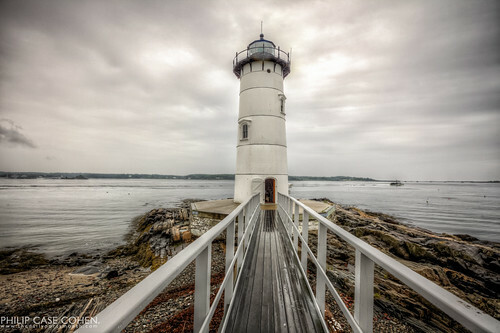 Portsmouth Harbor Lighthouse, originally uploaded by Philip Case Cohen. 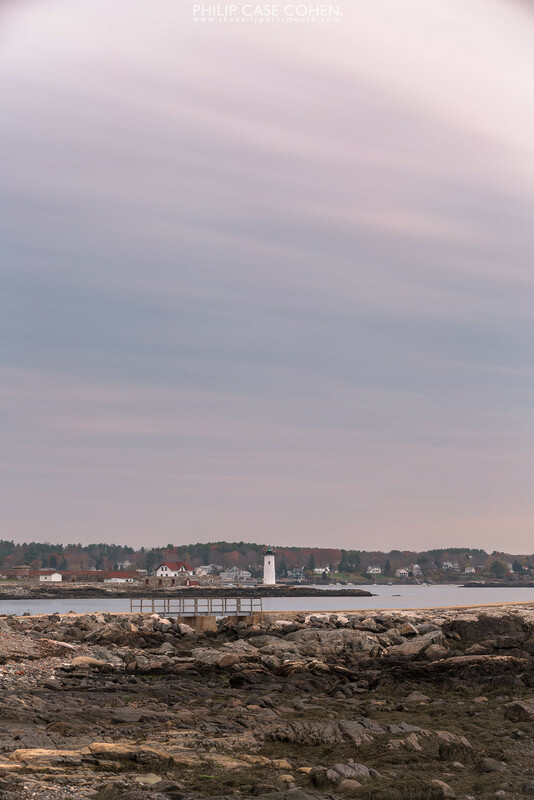 One of my favorite landmarks in the Seacoast – Portsmouth Harbor Lighthouse stands tall at the edge of Fort Constitution in New Castle.